When I was about nine years old, an English teacher told our class that we should never describe anything or anyone as ‘nice’. It was just a really boring word, he said, and what with all the other adjectives there are to choose from, we should make sure to avoid ‘nice’ at all costs. He even wrote ‘NICE’ on the whiteboard and then put a big cross through it, which I thought was excessive. I was reminded of this recently, when watching an interview with Gareth Southgate. The thing about Southgate is that he is, most probably, a nice guy. At least, that’s the impression he gives, of being friendly, cheerful and humble too, but I was most surprised at just how refreshing it felt to encounter someone who displayed these traits. Surely it’s not out of the ordinary to come across someone who is, on the face of it, nice? Well, it sort of is, actually. Certainly in terms of British public life in 2018. In the age of 24-hour news, social media frenzies and clickbait, it generally doesn’t pay to be nice. The nice guys are shunted offstage, whilst the brash and boorish hog the limelight. Whether you’re a supporter of Brexit or not, it cannot be said that Nigel Farage or Boris Johnson come across as nice individuals, and they don’t need to. They don’t want to, in fact. Their loudmouth meanness (Farage) and shameless narcissism (Johnson) are the very attributes that make individuals like these so well-suited for fronting controversial political campaigns, or making a scene on ‘Question Time’. There are nasties on the left too of course, egged on by Jeremy Corbyn’s Twitter trolls. John McDonnell and Chris Williamson are examples of those who appear to enjoy being controversial in their opinions; McDonnell’s tacit support of violence and in Willamson’s case a shady, sinister denial of the anti-semitism problem within the Labour Party. These types of people are front and centre of our politics these days. Donald Trump, who is kind of like a revolting mixture of all the very worst bits of Farage, Johnson, McDonnell and Williamson all rolled into one, is the president. 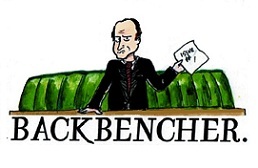 The good, decent, honourable UK politicians – and I genuinely think there are hundreds of them – are non-speaking extras, unable to get a word in edgeways, fighting to be heard, but winning very little. And so it makes a real change that someone like Southgate has had a starring role this summer. Everything about his manner jars with the tone of political debate in the age of Brexit, but I am sort of reassured by that. 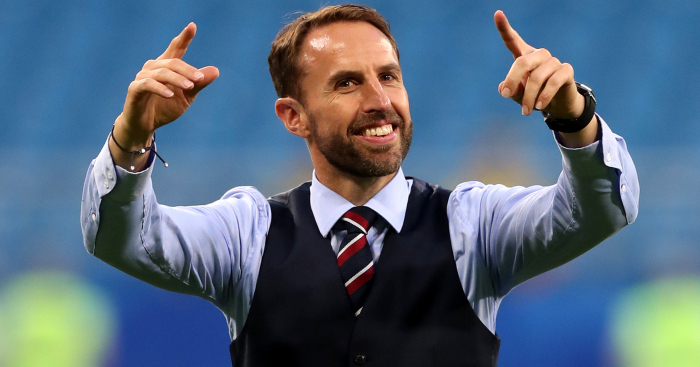 There are still genuinely good people out there, it would seem, and whereas of course the England team’s displays on the pitch at the World Cup are chiefly what have provoked the nation’s passionate support of Southgate, the man’s personality has mattered too. My English teacher most probably wouldn’t have approved, but Southgate has shown that, amidst all the madness, there’s still room (just about) for a thoughtful and gracious chap. A nice guy, if you will. Henry is a history graduate from Bristol University and a keen follower of politics. His other passion is music, and he makes-up one-half of Brighton based band Big Cat. You can follow him on Twitter via @HenryTydeman.